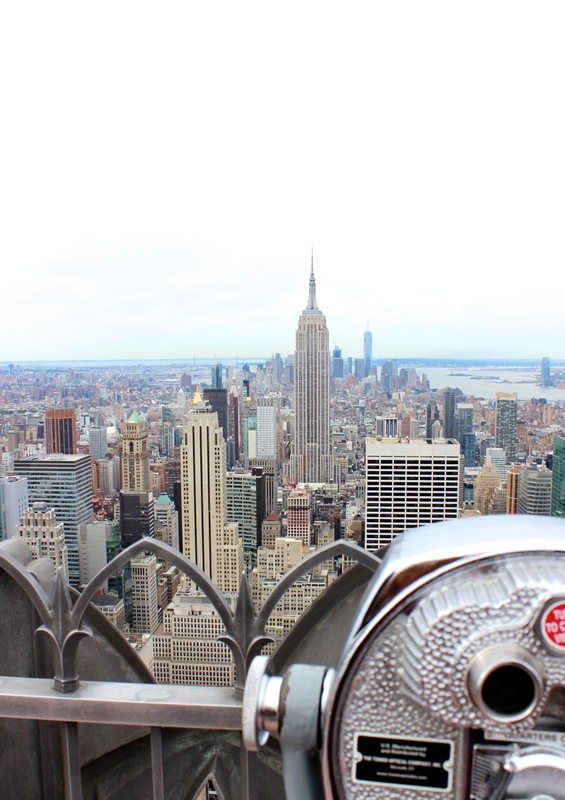 A Mini NYC Diary and Travel Guide. | By Millie. New York has quickly become one of my favourite cities ever, I've been three times so far in my life and there is still so much I want to see and explore, I find I never have enough days there! I'm no NYC pro, I still very much fall into the tourist category, but I do have my favourite little spots and areas I love, which is what I'm going to share with you today! This mini diary and guide is based on a 4-5 day trip, and my personal must sees! If this is your first time visiting the city, I would definitely say to find a hotel in Midtown, which is one of the main districts in the city. Here you will find the Empire State building, Times Square, The Rockefeller Centre and many more attractions. Midtown isn't the smallest area, so to narrow it down, I would recommend staying near and around Bryant Park. This is perfect location for sight seeing and shopping, and is walking distant to most things, it's also a lovely little breakfast spot! If you've been a couple of times and you want to see some different areas of NYC, Chelsea and Greenwich Village are really lovely upcoming areas which are again, great for shopping, and there are some really cool bars and restaurants. You're close to the High Line and Chelsea Market, two of my favourite spots, as well as being a lot closer to Lower Manhattan if you wanted to visit the 9/11 Memorial and Battery Park which is a lovely place to view the Statue of Liberty! After exploring these two districts, it's definitely the area I would love to move to if I every did consider moving to the city. There are a million and one places to eat in NYC, and I have not been to them all so I'm sure there are loads more places you could go to which serve up amazing food. For breakfast, I don't think there's anything better than grabbing a bagel and coffee from somewhere like Pax, and chilling in Bryant Park. When I went with my mum, we did this most mornings and it's such a great way to start the day and to people watch! If you want somewhere a little bit more fun and maybe a big style American breakfast, Ellen's Stardust Cafe is the place! It's on Broadway, near Times Square, and they are famous for their singing waiting staff, yes they sing and it's amazing...where can I apply??... They sell the classic pancakes, eggs, bacon etc, and it's not as expensive as some other diners you may come across. A bakery I found and absolutely love is a place called Levain Bakery which is in the Upper West Side. They do the most amazing cookies, they are seriously out of this world, baked to perfection! If you're not staying near, it's definitely worth the trek, pick a couple up, head to Central Park and watch the world go by! For some more dinner/lunch places, Pizza Beach is a great pizza place, the vibes are super chill and the decor is really cool! It's located in the Upper East Side on 3rd and E81st, the pizza's are really good and they have an amazing wine selection! Shake Shack is a classic and a really good yummy lunch if you're on the go. Not the healthiest, but if you love a good burger you need to go here, they have loads dotted around the city! If you're staying more south, a little area called Nolita is great for lunch places, including The Butchers Daughter, Egg Shop and Corner Deli which does the best Mexican Food ever! Chelsea Market is also a must for a quick lunch, I want to eat at every single food establishment when I'm there, everything looks amazing and they have such a mix of cuisines, there is something for everyone. Of course you can't go to NYC and not do any shopping right?...5th Avenue is the place to be if you love a designer splurge, and the more north you get, the more expensive the shops, so I love to start around 15th St and work my way up! If you love a department store, Soho is home of Bloomingdales as well as Space NK, Topshop and Brandy Melville. These two areas I would say are great for all your generic shopping needs. Soho is also great for little designer stores such as Celine and Isabel Marant.